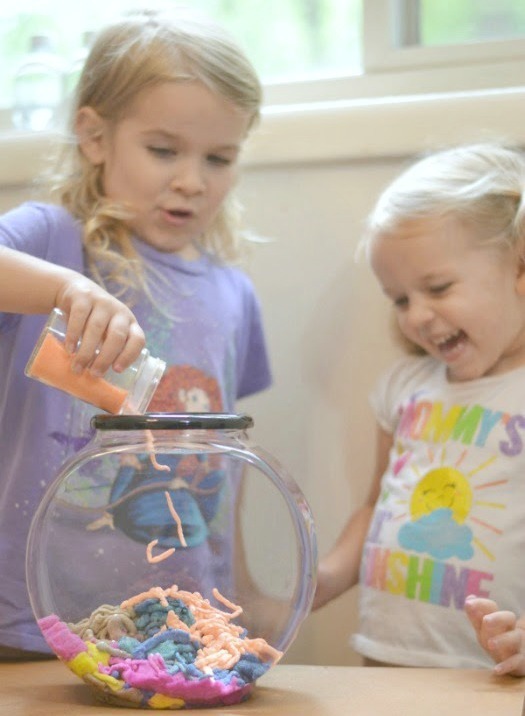 Did you know that you can make almost any art and play material that is sold in stores? 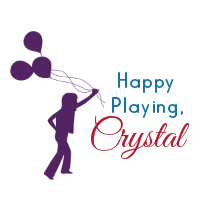 It amazes me how many things can be made at home, and I love creating new play recipes & materials! 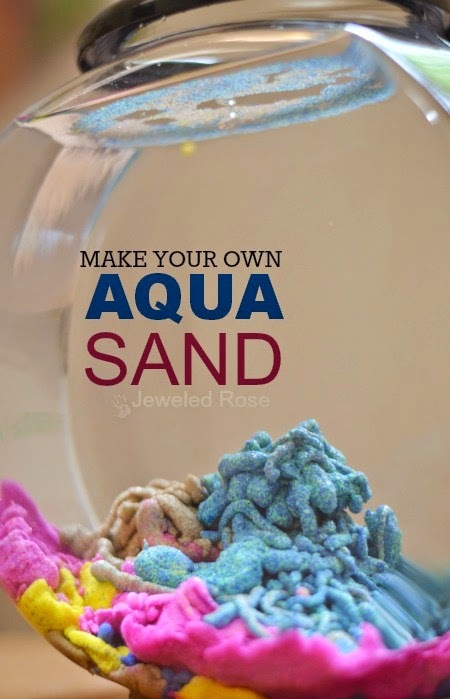 So, the other day when Rosie and Jewel saw aqua sand in the store I just knew that we had to try to make our own. 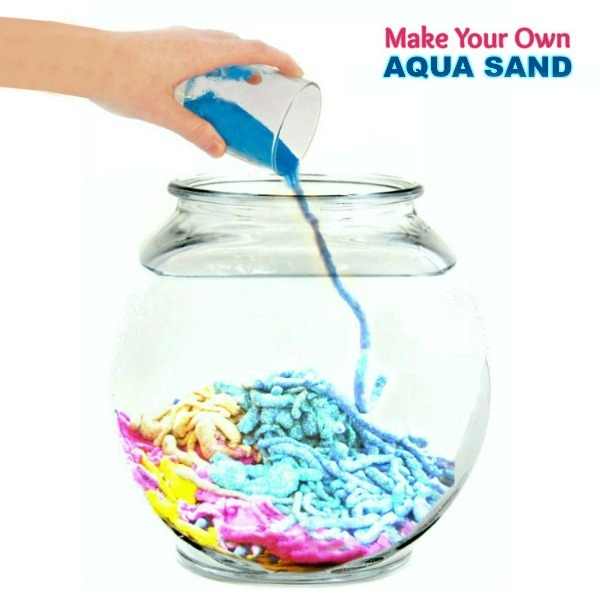 Aqua sand is incredibly cool! 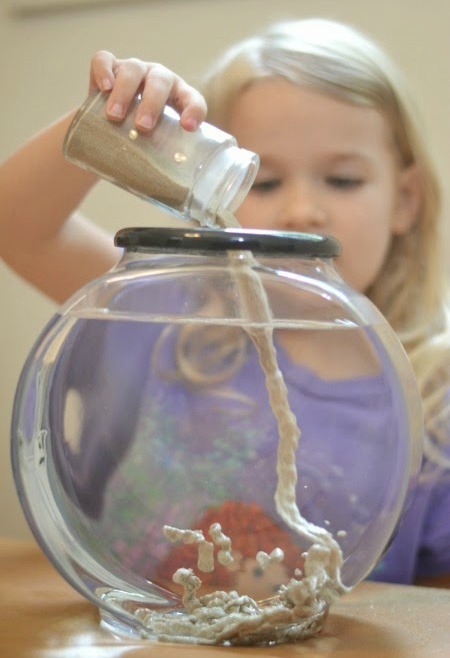 It is a waterproof sand that reacts to liquid in such a unique way, allowing you to build amazing underwater castles and sculptures. 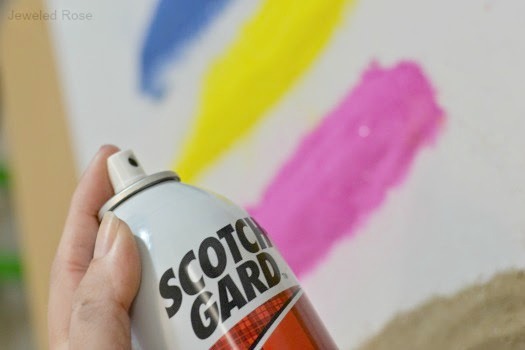 It is too fun not to try, and you won't believe how easy it is to make! Are you ready to see how? 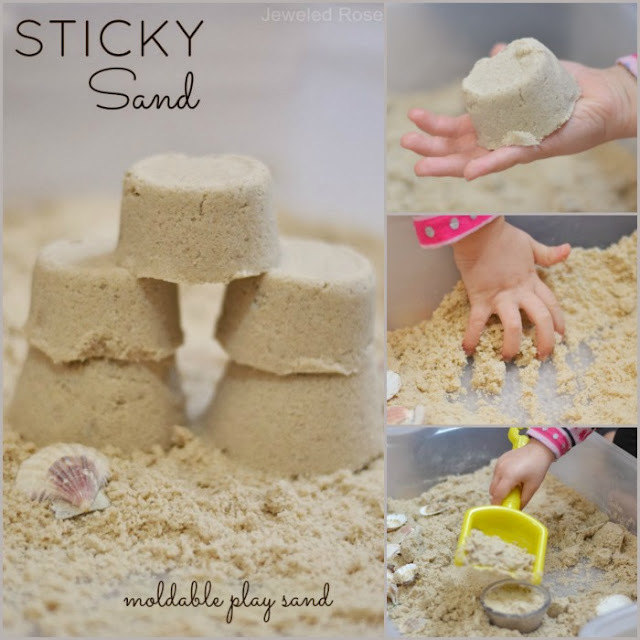 Begin by laying the desired amount of sand out in piles on wax paper. Then, spray the sand piles with the fabric protector. 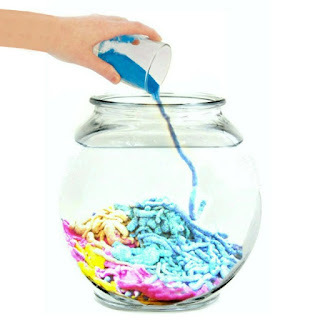 Mix the fabric protector into the sand piles, adding more protector until all the sand is fully saturated. You will want to do this in a well ventilated area. Allow the sand to dry. This does not take long (about an hour). 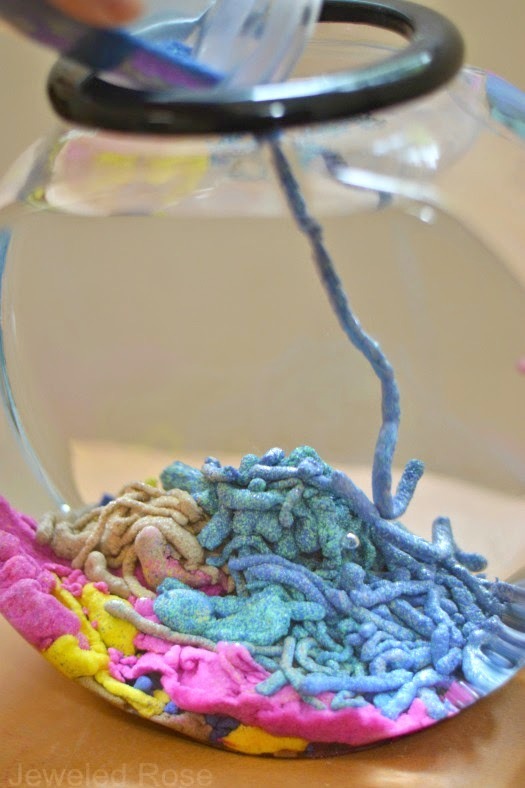 Once the sand is dry pour it into containers, and the fun can begin! My girls were so excited & couldn't wait to jump in & explore! 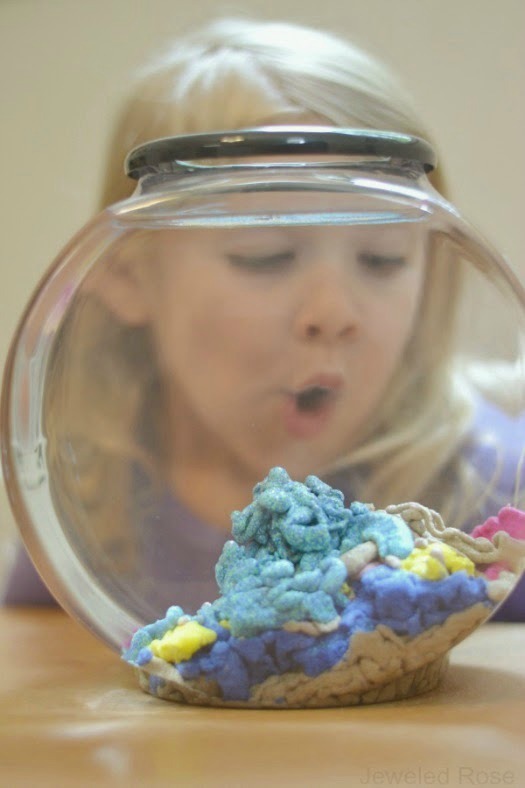 As they poured the sand into the aquarium of water the most amazing sculptures began to form! The more sand that was added the cooler the sculptures became! Rosie and Jewel were in awe of the magical sand & had so much fun! Both girls built castle after castle, laughing & giggling every step of the way. 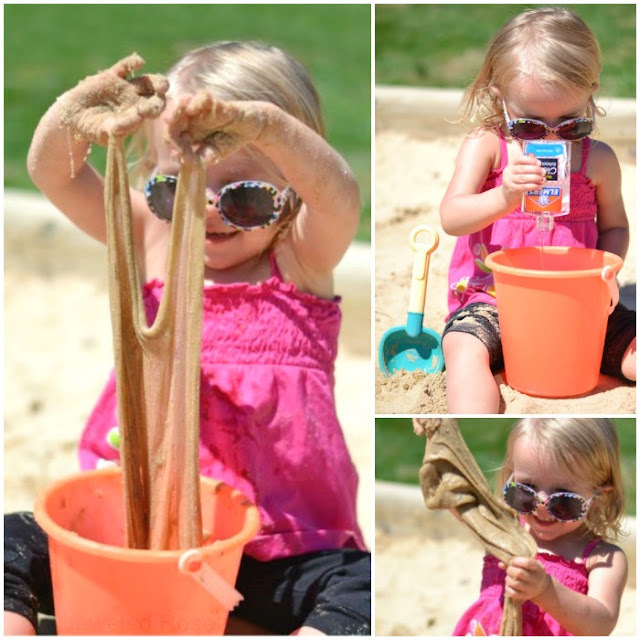 When playtime is over scoop the sand from the water and lay it out so that the water surrounding the sand dries. The sand itself should already be dry. 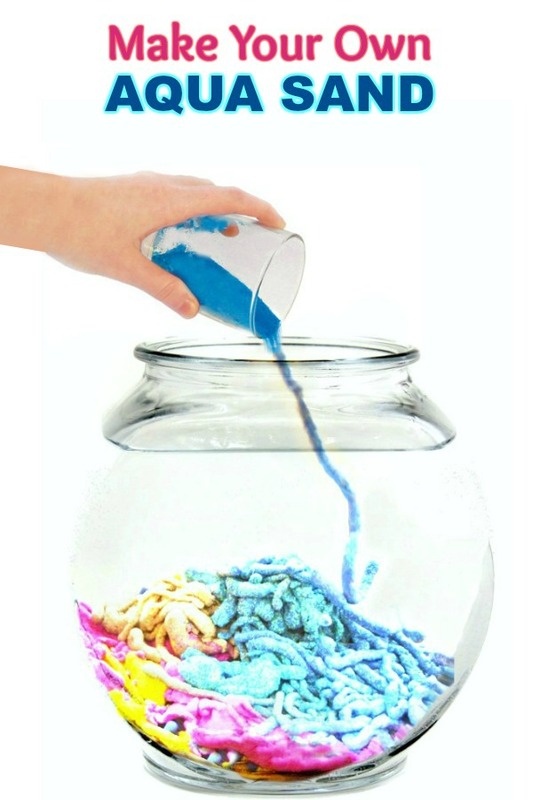 Once dry store your aqua sand in containers, and it can be used again & again! If your sand does not work properly after a few play times you can re-spray it with fabric protector to restore it. Ours worked fine for about 5 play times, and then we had to restore the sand by spraying it again. 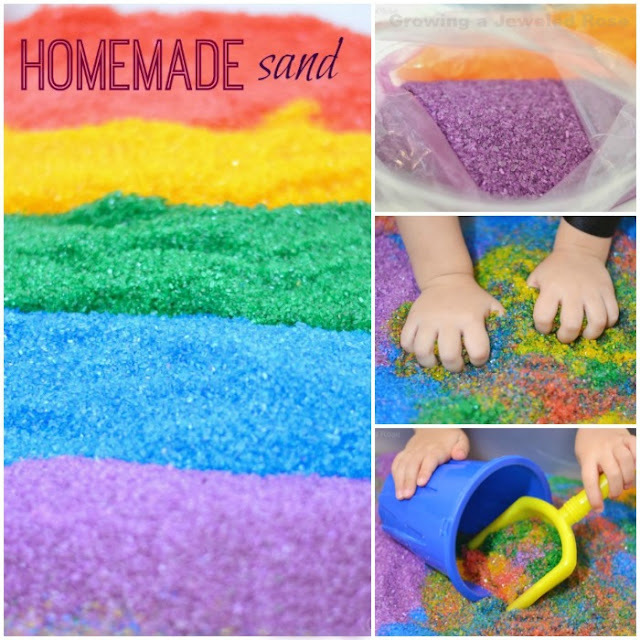 The colored sand that we used for this activity can be purchased on Amazon here. This is the fabric protector that we used.